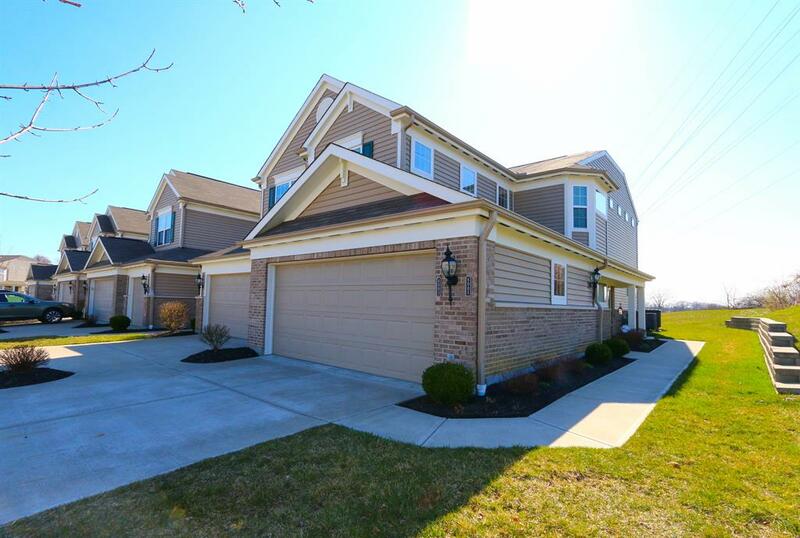 Spacious, immaculate "Northport II" floor plan with oversized 2 car garage! Condo offers gourmet style open kitchen with 42" cabinets, large pantry and spacious buffet. Additional features: 2 master suites, large study-poss 3rd bedroom, walk in closets, great room with fireplace, open dining rm, 10 ft ceilings, covered deck & peaceful end unit location. Beautiful, like new, well maintained unit!